I know I have been guilty of taking advantage of being able to eat anything I want over the years. I have a daughter who suffers from Crohn's Disease and it was through her diagnosis I was made aware of how difficult it is for people to eat just anything when they want. My daughter would often have to deal with cramps, bloating, diarrhea or gas when she ate foods that didn't agree with her body. She is not alone in her struggles with Abdominal Pain and IBS Symptoms. Many people have turned to a gluten free diet to help with their symptoms but over the years we have learned that the improvement is due to the elimination of FODMAPs which is found in wheat and milk among other foods. My daughter has had to customize her Low-FODMAPs diet to her body but has found great success in reducing her symptoms over the years. Eating a diet of Low-FODMAPs does not feel like you are doing without. 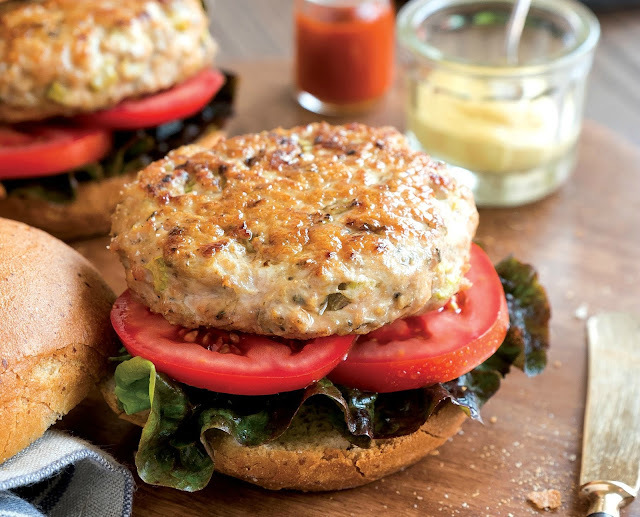 Take a look at one of the recipes from the book below these Turkey Burgers are delicious. CINZIA CUNEO, MSc, is the founder of SOSCuisine, a service that provides practical and personalized solutions to specialized meal plans, designed under the supervision of dietitians. She lives in Montreal, Quebec. 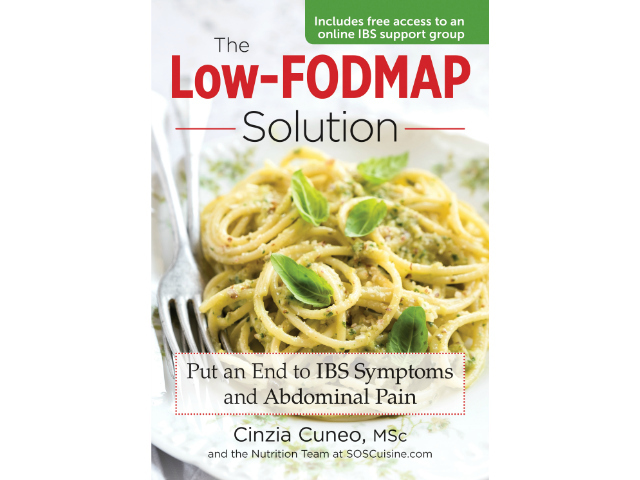 Courtesy of The Low-FODMAP Solution: Put an End to IBS Symptoms and Abdominal Pain by Cinzia Cuneo © 2016 www.robertrose.ca Available where books are sold. a creamy filling of melted blue cheese. Tip: The FODMAP content of celery is borderline, so be sure to use the precise weight indicated in the recipe. 1. Coarsely chop the celery and put it in a bowl. Add the ground turkey, oregano, mustard, salt and pepper. Mix well using a fork, then bring the combined ingredients together with your hands to form a firm mixture. 2. Divide the mixture into 8 portions. Shape each portion into rounds and flatten each one slightly. Crumble the cheese and place a small amount in the center of 4 of the rounds. Place the remaining meat rounds on top of the cheese topped rounds. Use your hands to mold the rounds together, encasing the crumbled cheese and shaping them into burgers. 4. Place each burger in between 2 slices of bread. Serve with ketchup and mustard on the side, if using, adding a slice of tomato and lettuce, if desired. Do you suffer from IBS? Have you found changing up your diet works for you?